Noah is 9+ months old now. He is getting naughty with all his tricks, moving faster, using all his power to fight back to flip when his mom try to put on cloth. 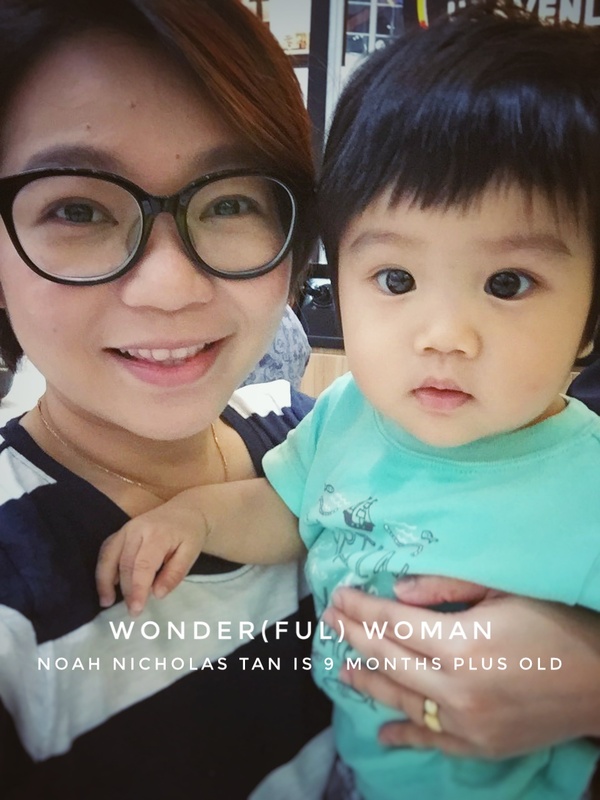 And the good news for his mother is..
Noah is well taken care by this wonder woman. She does everything by her self.. There are so many things to do, not only teaching and all those ad-hoc such as preparing the meal, wash bottle, bath him etc.. and it seems 24 hours is not enough. It’s one of the most physically and psychologically tough thing to do, responsibility that not only include her well-being but nuturing somebody’s else, preparing them to be somebody better than their parent. Every stage, she has to prepare different book to teach, different meal to feed. so this wonderful woman has to adjust accordingly and decide what is possibly the best for him. We ought to work together as a team for the future we can imagine or dream to make it become a real with all love, energy and time. It has been a tremendous year. I am grateful for everything that we have.